Transformer Oil Drying– An Integrated Approach - ! Equipment for Transformer Oil Reclamation. GlobeCore. Various international and local regulations contain instructions and specifications on oil quality. Additional regulations instruct where, when, and how oils can be used and how used oil can be disposed of legally. In order to comply with the myriad of regulations and to keep the environment protected from harmful emissions, and/or hazardous spills, a business may be required spend large sums of money. The timely replacement of transformer oil, environmental controls, preventive maintenance and corrective can impose even more costs. One way to avoid, and possibly eliminate, some of these costs is to maintain your transformers in top working condition. This can be accomplished by paying close attention to the purity levels of your transformer insulating oil with an oil analysis program. 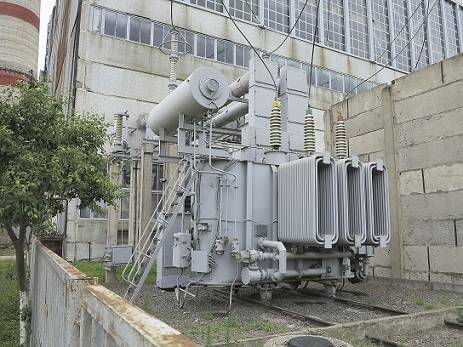 The only way to maintain (or recover) the high dielectric strength of the transformer’s insulting oil is through the process of deep drying and degassing using modern purification and “Regeneration” technology. Efficient oil drying and removal of solved gases requires vacuum treatment. Water and air are removed faster when the atmospheric pressure is lower and the temperature is higher (to a limit). The optimal vacuum process parameters are 80C/176F temperature and 133 Pa/0.01929 psi atmospheric pressure. The best modern designs for oil drying and regeneration are more economical due to unification of many processes and a more versatile purification system all contained in one piece of equipment. Oil purification, drying, degassing and regeneration used to require several different types of processing equipment. GlobeCore engineers have developed the industry leading GlobeCore Process that has combined the purification and drying process in one machine that now fully regenerates all the oil in the transformer. The CMM-R units are equipped with electric heaters, oil and vacuum pumps, fine filters and adsorption sections. They are used for regeneration of oxidized transformer oil and can be connected directly to energized transformers. A unique distinction of the modern regeneration units is that there is no atomization of oil or thin-film insets in the vacuum chamber, instead, “activator filters” are used, which allows the spreading of the oil for processing. The design allows for the elimination of bulky nozzles and sprayers and prevents ingress of oil into the vacuum line, greatly increasing the process consistency. The UVR regeneration and oil reclamation system ensures a very high degree of efficiency of oil reclamation. The regenerated oils are consistent, resistant to oxidation and do not darken or accumulate odors. The complete purification, drying, degassing and regeneration units offer the full range of services for transformer oil maintenance and oil regeneration. Its time to get with the Process, the GlobeCore Process!